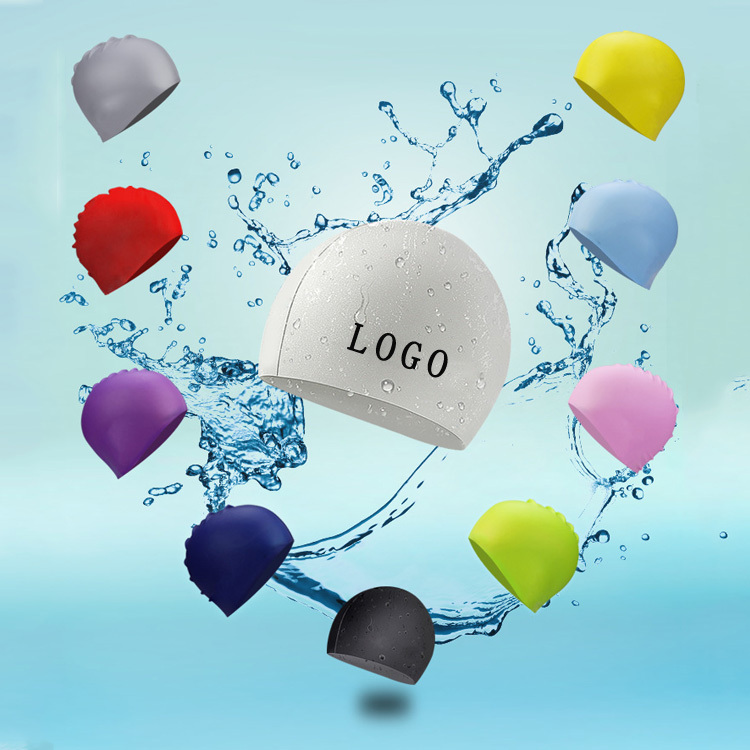 This is a silicone swimming cap that is soft and comfortable. 8 11/16"L x 7 5/8"W. This silicone swim cap protects your head and is water resistant. Due to its material, the flexibility is good and can be applied to a variety of different head circumferences. Many swimming and wading sports can be used. Not only swimming, diving, surfing, but also surfing. For those people who like water sports, this is a great gift. We can help you put the trademark on it, welcome to inquiry.